Handle everything from invoicing to seamlessly managing recurring orders with Chargebee. Automatically generate orders and schedule them in your fulfillment platform. Your Business. Your Billing Rules. Want to ship a surprise box on the same day and enthrall customers? Or, ship as soon as they sign up for your product? Name it. We have it. 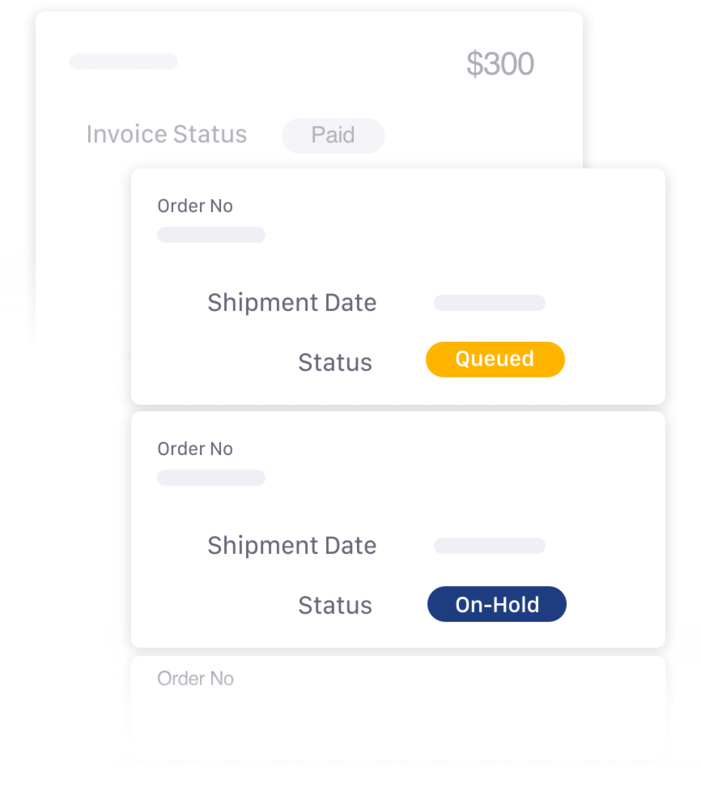 Monitor order status, payment status, and shipment status. All in one place with Chargebee’s Recurring Orders. With the ability to create multiple orders, pre-plan your inventory and dodge any excess or deficit. Account for returns, cancellations, and refunds with credit notes. Avoid errors in revenue recognition by recording the delivery status of orders. Enable customers to return or cancel any order that fails to cheer them up. Retain them by delivering the best. Manage these refunds effortlessly with Chargebee. 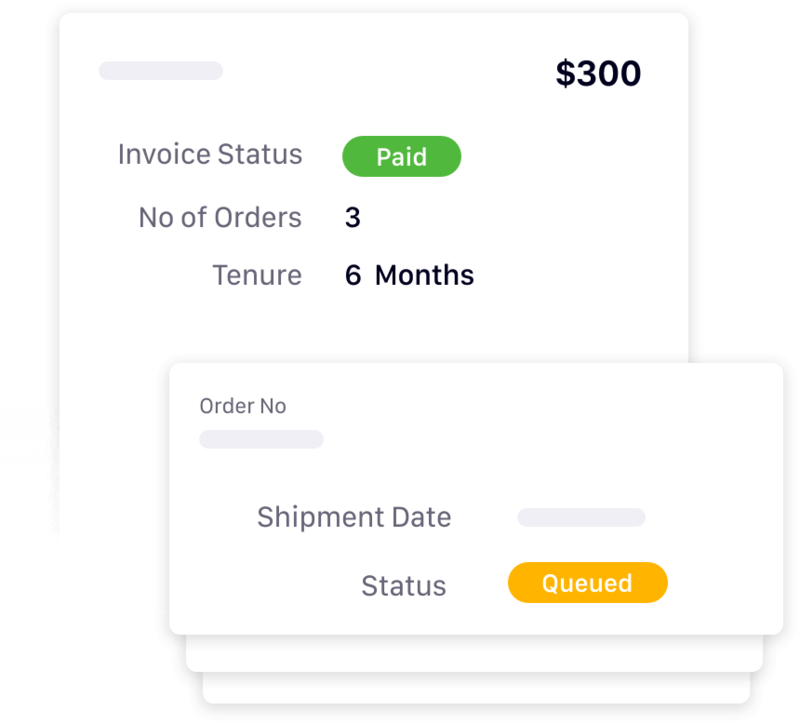 Automate the scheduling of recurring orders along with shipping information whenever the invoice is paid. Integrate with robust fulfillment platforms.